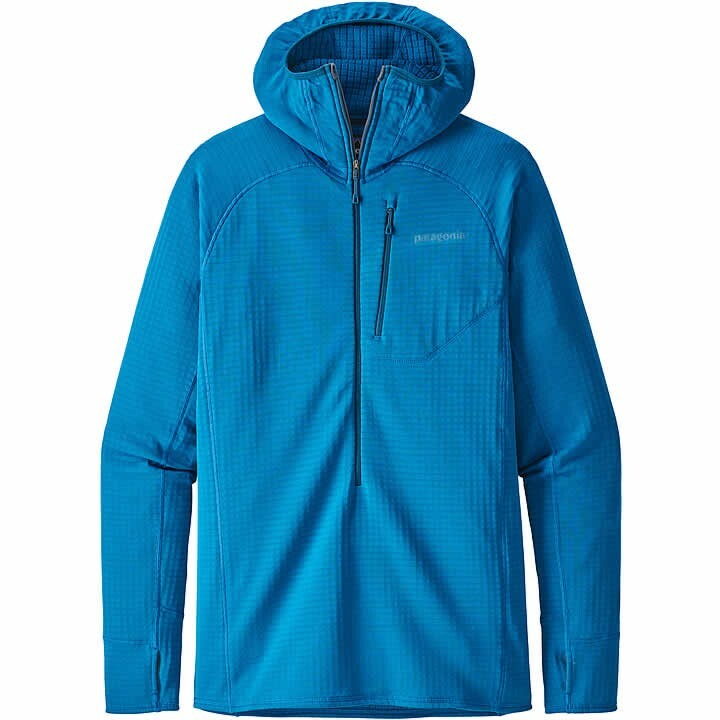 A venerated alpine essential, the R1® Hoody remains a versatile hooded midlayer for the full spectrum of mountain endeavors - made with light and breathable Polartec® Power Grid® fabric for outstanding stretch, compressibility and durability with Polygiene® permanent odor control. After more than 15 years of cranking, R1® fabric is still a benchmark for alpine efficiency. Its high/low grid interior (Polartec® Power Grid® polyester) is key to the hoody's versatility, and the highly refined fabric - the lightest and most breathable iteration ever - remains exclusive to Patagonia. It stretches, traps heat and compresses to practically nothing, with the pared-down but versatile features that climbers and backcountry skiers need: a snug-fitting balaclava-style hood; a minimalist, deep-venting front zipper with a soft zipper garage that keeps your chin comfy; and a variable-conditions cuff with discreet on-seam thumb holes and spiral-stitch construction so you can push up the sleeves with no ensuing forearm pump. With off-shoulder seams for pack-wearing comfort, a long torso for layering under a harness, an exterior chest pocket and Polygiene® permanent odor control.